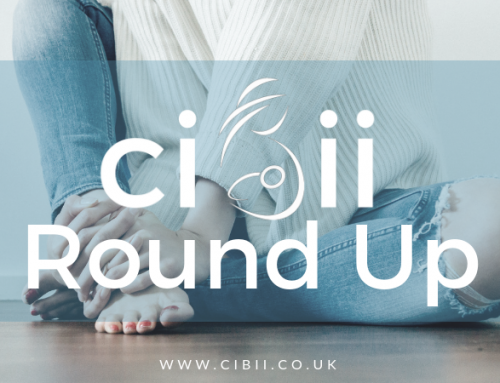 Weekly Round Up 30th September | Can I Breastfeed In It? This black pinafore has adjustable straps, handy front pockets and metal buttons on the side of the waist. It can be paired with so many things, from your favourite tee, to a chunky knit when the temperature dips. Over leggings, with tights, the options are endless. The classic wrap-front creates an effortless style for everyday and perfect for nursing. The jumper is a lovely soft knit too. This dress has it all, bandeau style, buttons, tie wiast, ruffle…… just pull the front down for breastfeeding! Available in mauve and black. Price : £ 13 bargain! Lovely smart jumpsuit that is breastfeeding friendly! Great little pinafore dress, comfy and feeding friendly! Available in mustard, stone and navy. This dress has a plunge neck for breastfeeding access, with a knot front design and on trend animal print. Look great whilst nursing in this cool dress. This shirt dress is made from a softly textured fabric. It’s in a relaxed fit so looks great with an added belt. It is effortlessly stylish with tights and boots to heels! This polka dot dress has a revere collar and v neckline for nursing access and a smart double breasted fastening. This bargain of a top has been recommended as ideal for feeding whilst baby wearing. Sportswear is so breathable and prevents you gettin too warm. Zip front for easy nursing access. Casual fit that looks great with jean and boots for Autumn! A bold orange leopard print top. This top has a v neckline and wrap front with flutter sleeves and a casual fit. Pair with black skinny jeans and ankle boots. A great midi dress that can be worn for daytime or accessorised for evenings out! The dress has a collared neckline, double pocket front and a flattering belted waist and midi length. Yet another great dress from New Look, available in sizes 18-32. This dress has a v-neckline and wrap-front design. Short sleeves and a belted waist, fab on trend dress! Great Autumn colours-rust. This culotte jumpsuit has a v neckline with twist front detail and flutter sleeves. Available in Rust, Black or Khaki. Slinky little number with a wrap front for nursing and a wrap-around top. Style with skinny jeans and heels to complete the look. Go for chic leopard spots in this revere collar dress with a button front. Pair with white block heels to lift the look. A fab blue floral print on a mustard base , this dress is finished with a chic knot at the waist! Maternity dress with wrap front neckline for easy nursing access too. This chic dress is in a skater style. Check out our reviews to see that maternity is also suitable for nursing with no detriment to the fit of the dress. CLICK HERE! Maternity dress with wrap front neckline for easy nursing access. Check out our reviews to see that maternity is also suitable for nursing with no detriment to the fit of the dress. CLICK HERE!